On October 29th 2012 Tripp Halstead was playing outside at his daycare and was struck in the head by a huge, heavy, falling tree branch. His skull was shattered and he suffered a traumatic brain injury. Since then, there have been ups and downs, numerous surgeries, and plenty of uncertainties but he is a fighter. Although he has a long road ahead, there is so much hope. Leaving June 26th 2013, Toga Multisport Club co-founder and seven-time Ironman Dave Nazaroff intends to ride his bike from Nyack to Atlanta (over 900 miles) in 5-6 days to deliver a check to the Halstead family. Please help us raise money so Tripp's mother Stacy can stay by his side constantly through his long recovery. Seattle is in first place for most build submissions this week. 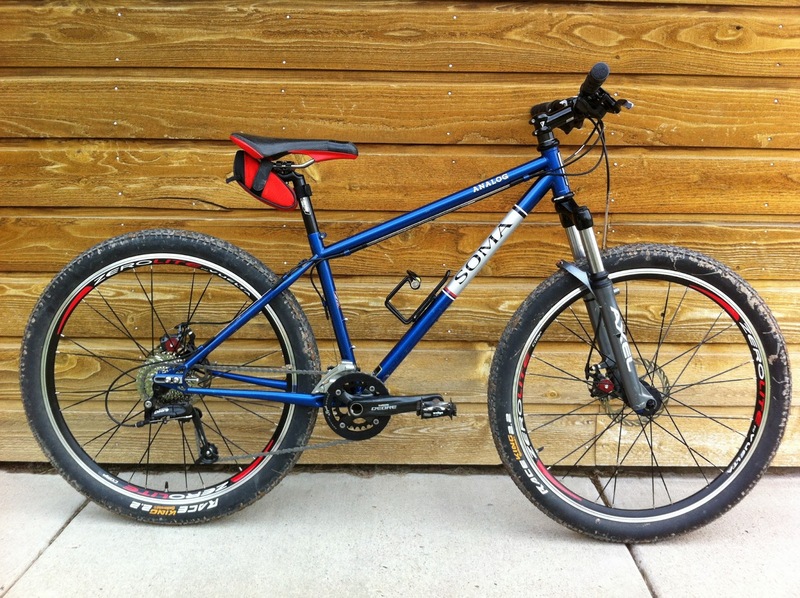 These two came in from Rosebud Bicycle Builds. This Old Gold Double Cross disc has a nice mix of Shimano 105 triple drivetrain with Avid mechanical discs and Velocity A23 hoops. Dialed in for cruising the Burke Gilman or heading out on an impromptu adventure around the Puget Sound. The silver fenders really make this build pop. This one is set up for a very different application. Customized with the owner's name on the top tube. The little rider get's some love too! 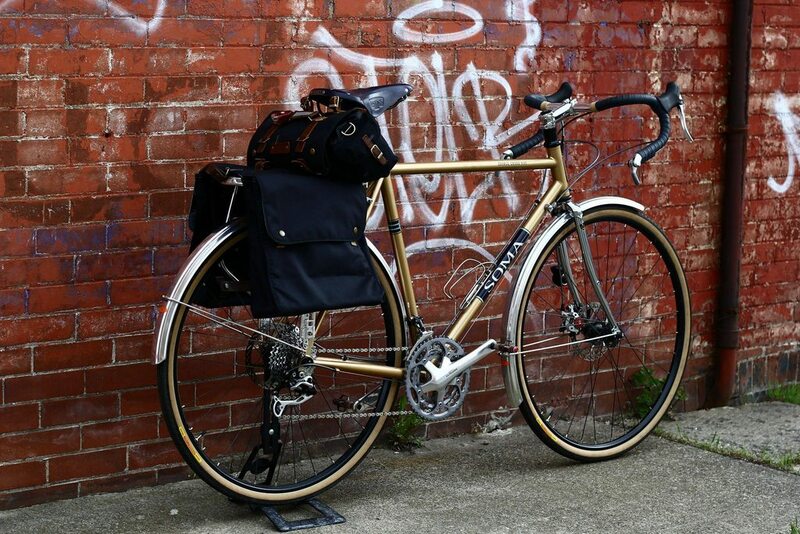 Nitto Promenade bars leave plenty of room for the precious cargo. It looks like he likes being up front where the action is. If you've got a build you want to submit email it to us, or better yet, you can add it to our Flickr group. 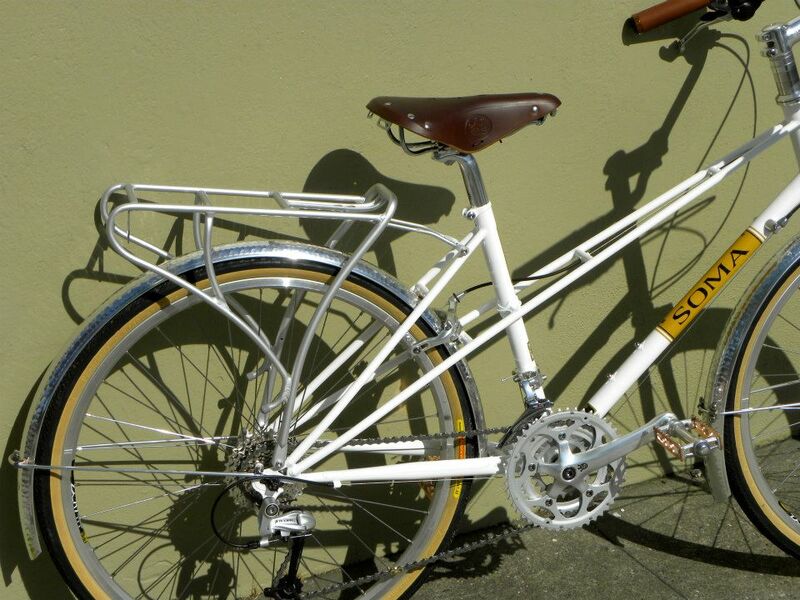 Thanks to Rosebud Bicycle Builds for sending in these pics. 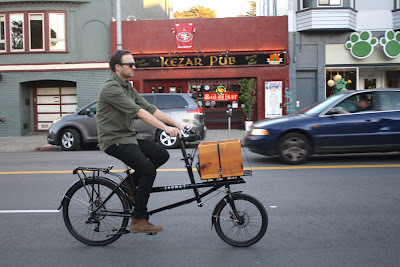 Here's another way to build up the Soma BV. These two were builds were put together by FreeRange Cycles in Seattle, one of our best dealers in the Pacific Northwest. 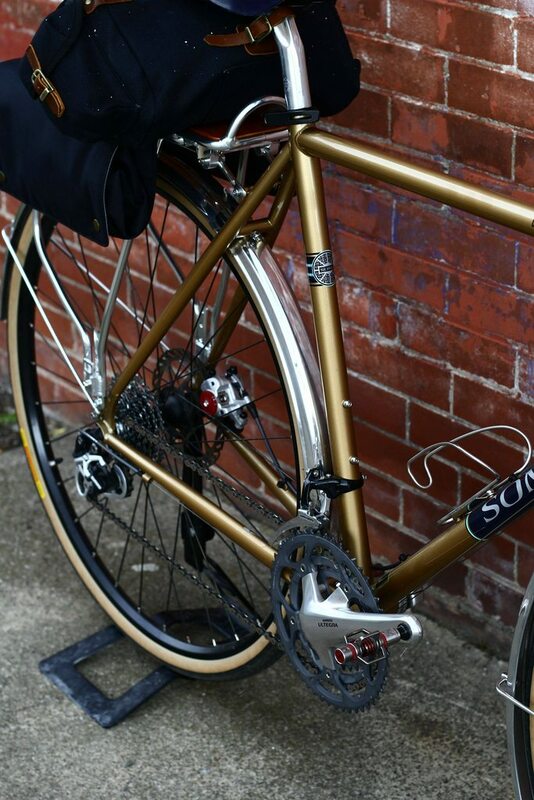 They strike a nice balance between classic and modern style parts, with STI shifters and wide range gearing. 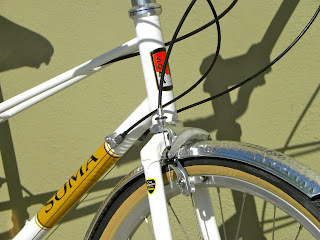 Classic skinwall tires from Japan, leather saddles and Sugino touring cranks for bonus style points. 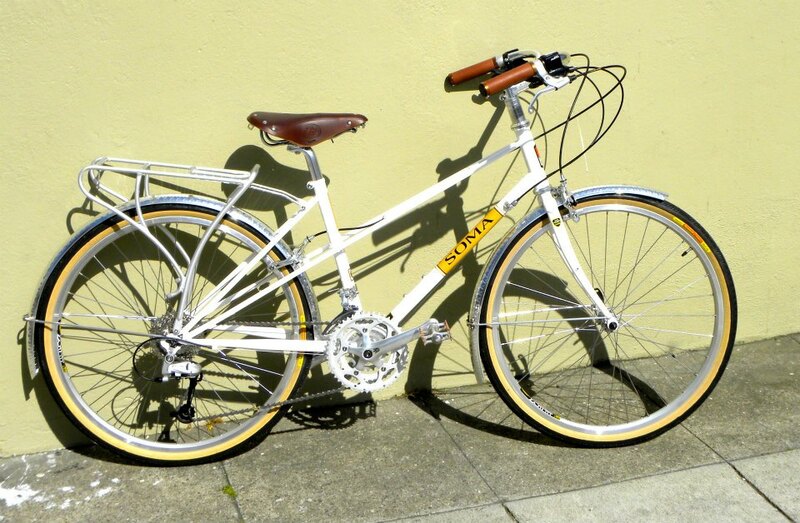 Plenty of room for fenders when the good weather inevitably goes south for the winter. Ideal all-rounders for city riding or club rides and brevets. The Graphite is a 26" and the Pearl White is a 650b if I'm on my game. The Mixte is one of our coolest bikes, but also one of the most overlooked. 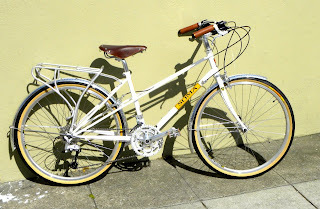 Did you know that term "mixte" comes from the french meaning mixed, or unisex. They can be built with upright bars, moustache bars or drops, geared, single speed, fixed or internally geared. It's actually one of the most versatile frames we make. So don't be afraid to try one out. You never know, you might find out you dig it. 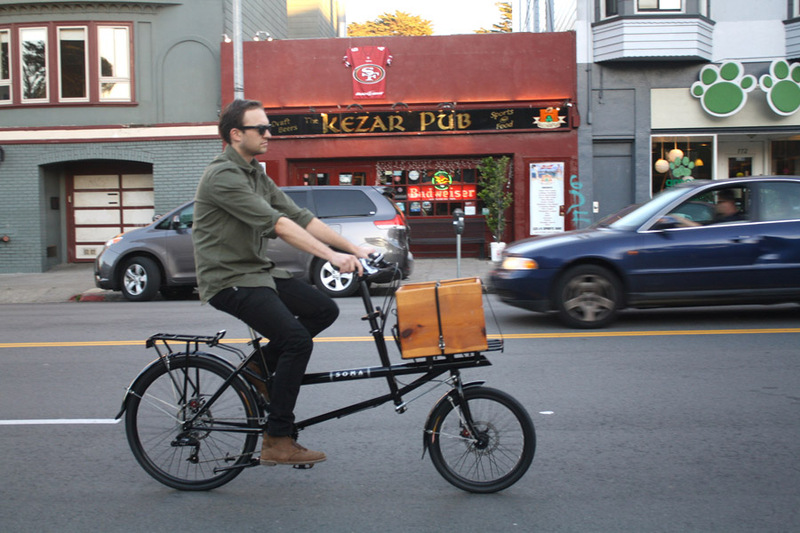 This one is a size 42cm with 26" wheels, built by American Cyclery in SF. The hammered fenders look a real treat on there, don't you think? FYI to all you giants and giantesses out there, we're cooking up a new Venti size just for you. 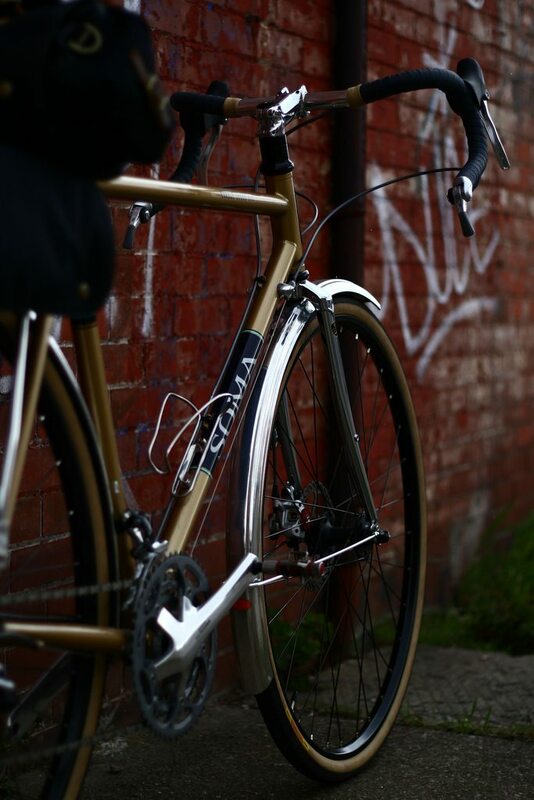 Thanks to Kris in Toronto for sending in these gorgeous shots of his Double Cross Disc build in Old Gold. 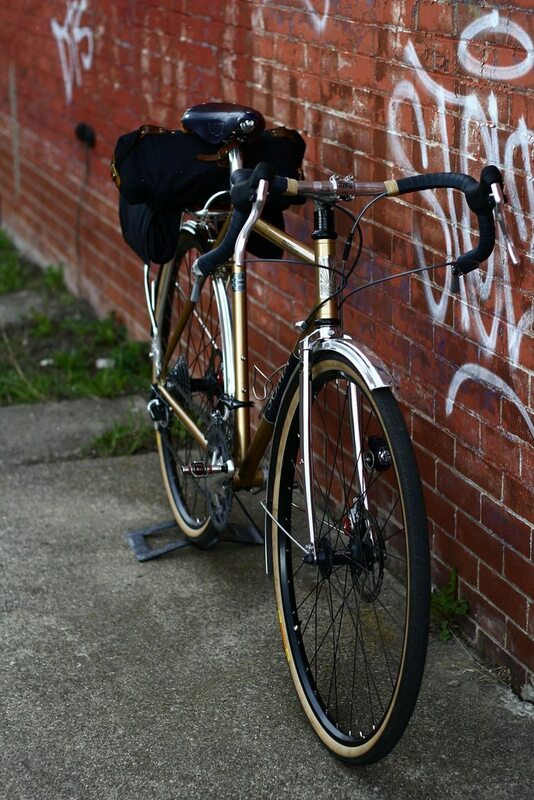 Thanks also to Hoopdriver and New Hope Bike CoOp for helping make this build happen. "Here are a few pics of the new 15" Analog I built for my 12 year old. I still need to find the right saddle for him and eventually I might build him some lighter wheels, but it's pretty sweet as is. Build is a collection of mostly new parts I had around the shop: FSA Orbit DL headset, Dimension stem, Race Face Ride riser bar, Shimano Deore 2 X 9 speed drivetrain, BB7 disc brakes, FSA seatpost, WTB grips, and Vuelta Zero Lite wheelset. 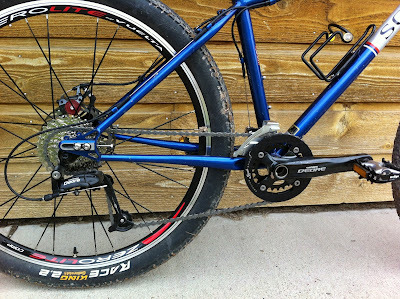 The Manitou Axel fork, Conti tires, Avid brake levers, and Fi'zi:k saddle were used. For the dollars involved this is a much nicer bike than anything I could have bought for him complete from one of my vendors. And the finish quality of the frame is such that it could easily be a much nicer bike with a high end build kit." Hello World! 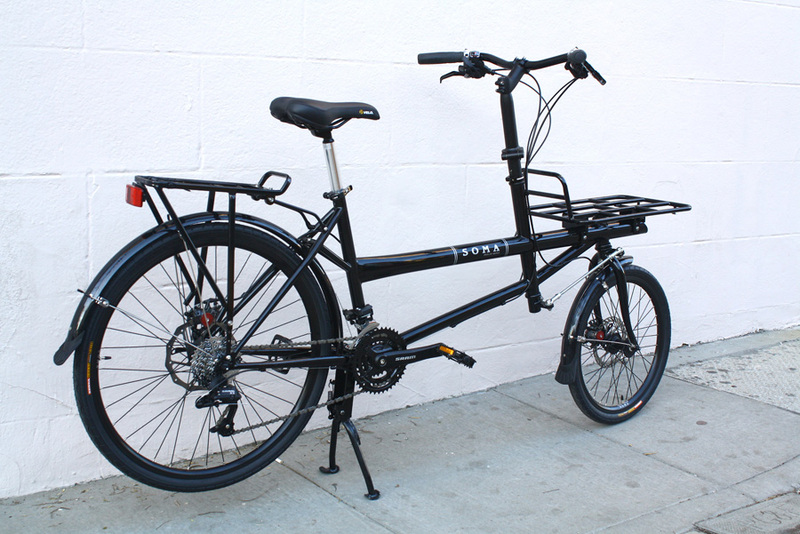 We had a mix-up with the factory about the steer tube lengths for the Soma Pick Up Artist cargo bikes, but now we have the new forks in stock and ready to ship out. They're available now to your local bike shop through our Northern California Distributor and online in our webstore. It's been decided, effective immediately Soma will be discontinuing all steel frame production to focus exclusively on making full carbon fiber triathlon bikes. This news comes after the announcement that Soma Fabrications will be moving all operations to Switzerland, the home of our new parent company Cheetah Field Hockey and Stroller Supplies Inc. LTD. In honor of this new direction please enjoy this video showcasing some of our upcoming products.